The NASCAR Hall of Fame is in Charlotte, North Carolina. The chronological history of NASCAR is cemented deep within these halls, showcasing the heritage of NASCAR. The CEO and chairman of NASCAR, Brian France, acquired the position when his father stepped aside in 2013. The hall of fame is a high-tech venue and offers guests a chance to engage in some supremely interactive exhibits. 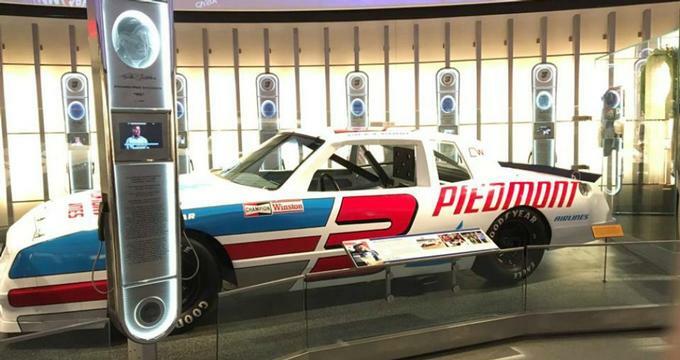 It opened its doors in 2010, offering fans and non-fans the chance to see valuable artefacts, a 278-person state-of-the-art theatre, hands-on exhibits, the Buffalo Wild Wings Restaurant, the Hall of Honor, a NASCAR Productions-operated broadcast studio, and the NASCAR Hall of Fame gear shop. The hall of fame is open 7 days a week and is a 5-acre site and includes a privately established 19-storey office tower with a square foot expansion of 102,000. Winston Kelley, the executive director of the Hall of Fame has brought a wealth of private sector experience to the job and as well as his passion for the NASCAR sport. He has been working at NASCAR since 1981 and lives for the industry. The NASCAR Hall of Fame comes with a whole list of facts. For example, the hall is licensed by NASCAR, owned by the City of Charlotte, and operated by the Charlotte Regional Visitors Authority. The High Octane Theatre features informational movies about NASCAR and is available for after-hours rentals. Ralph Appelbaum Associates created the exhibition designs and there is a ceremonial plaza for the exterior for the induction ceremonies. Race Week is a facility featuring the most collaboration as it provides behind-the-scenes information on the NASCAR industry and the NASCAR team who prepare the cars for a racing day. There is an internship program for students who want to learn the NASCAR business. There are three terms: Spring, summer, and fall. There is also an opportunity to rent the hall as a full venue for events. There are many future events coming up, such as the Racing Insider Tour I-85, which gives visitors behind-the-scenes access to NASCAR history. The other Racing Insider Tours provide similar tour information, behind-the-scenes access, and food. The Race View Parties are shown on the High Octane Screen, which seats 278 people, showing some of the more exciting and high-speed races and much more. The 64-foot-wide projection screen has full surround sound. Admission prices to see the Race View Parties are $10. The Glory Road, now in its third generation, features iconic cars and exciting tracks, including some legendary race cars.